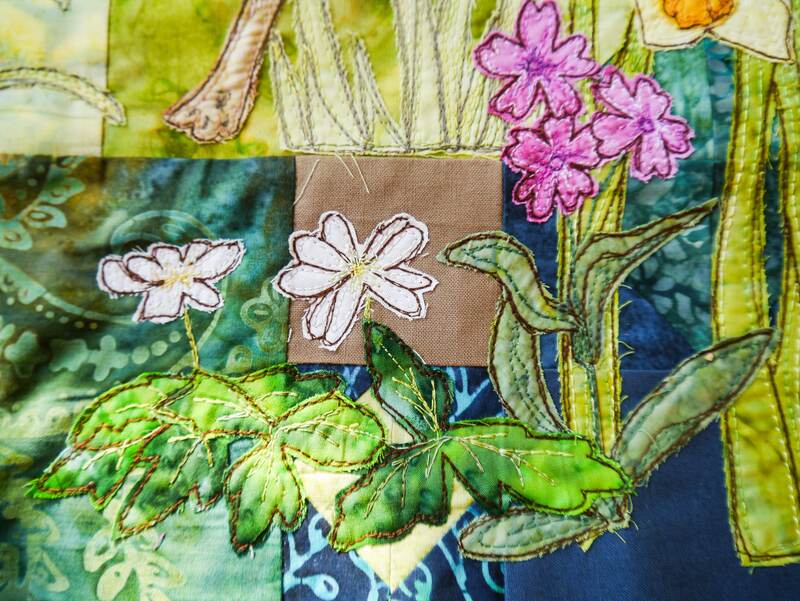 Printed pattern for raw edge applique using free motion embroidery. 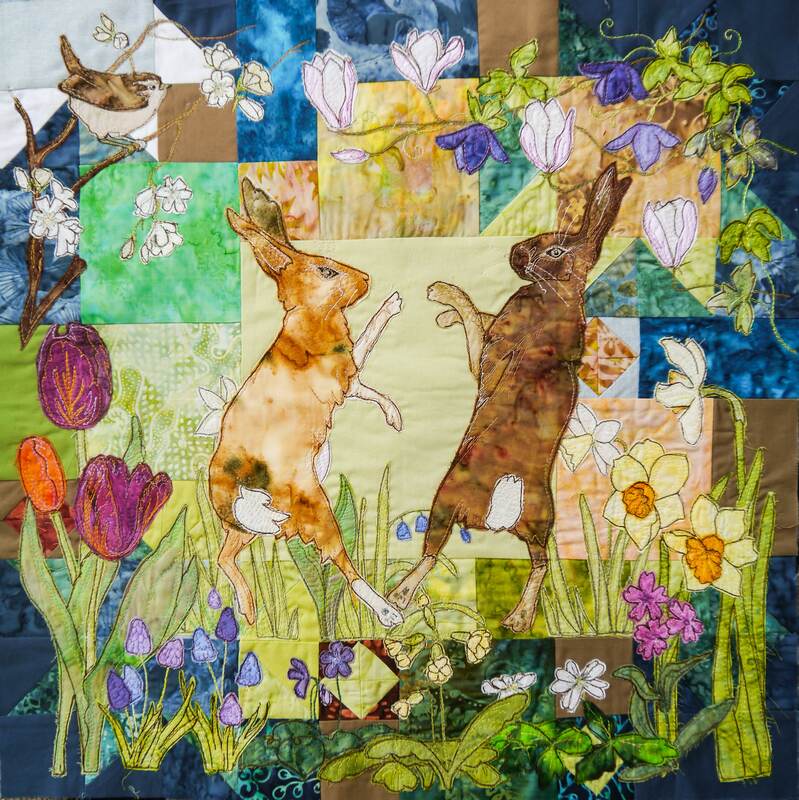 Measures 20 by 20"
This Spring boxing hares wall hanging measures 20 by 20″ and incorporate a wealth of spring flowers including tulips, red campions, magnolia, clematis, apple blossom, wild anemones, bluebells, muscari and daffodils. 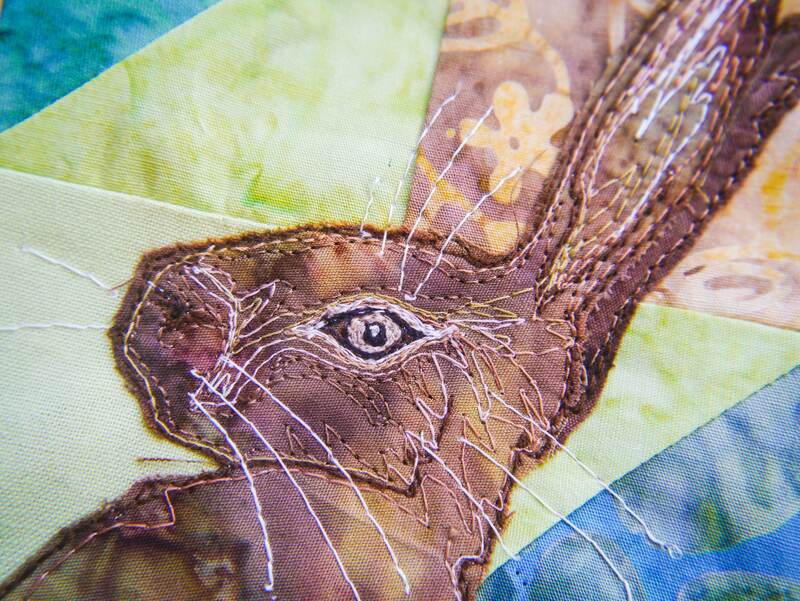 A little wren peeks in from the corner and the two boxing hares are mid fight in the centre.